Bringing your child to church is a big step in your lives as parents and it is very important that you prepare yourselves for this. Baptism Preparation Session for parents takes place on the first Thursday of the month 7.30-9.00pm in the mothers’ Room in the Parish Centre. 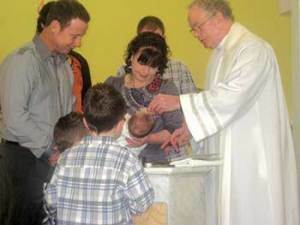 You must have completed a Baptism Registration Form and consulted the Priest before attending the Preparation Session.